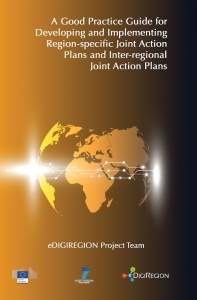 Region-specific Joint Action Plans (JAPs) are regional roadmaps developed collaboratively and jointly by stakeholders within a given region, whose aim is to enhance the economic development and sustainability of their regions. Regional stakeholders, including representatives from local and regional government, industry, research centres and education institutions, need to collaborate and cooperate in designing and advancing their region's innovation ecosystem if they are to fully embed the entrepreneurial discovery process of Smart Specialisations in their region. Such actions can play a pivotal role in enhancing regional competitiveness and sustainability. Inter-regional Joint Action Plans (iJAPs) are mechanisms through which stakeholders from a number of non-contiguous regions (at least two), with defined and well-articulated JAPs, collaborate and cooperate to share resources, knowledge, experience and expertise to the mutual benefit of each region's innovation ecosystem. Such a process leads to the internationalisation of research and the exchange of researchers, innovators, inventors, entrepreneurs, policy-makers and commercialisation agents between the collaborating regions. These activities facilitate the propagation and internationalisation of the R-I-C (research to innovation to commercialisation) process and generate an inter-regional ecosystem between collaborating regions. This Guide contains tried and tested templates and methodologies to design, implement, monitor and evaluate JAPs and iJAPs. The Guide also presents readers with many examples of the JAPs and iJAP implemented in, and between, the four eDIGIREGION consortium regions (South East Ireland, Central Hungary, Bucharest-Ilfov, Romania and Castilla-La Mancha, Spain).